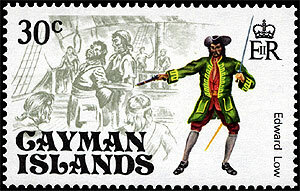 Israel Hands was a real Caribbean pirate, one of four on this set. Robert Louis Stevenson based much of this classic novel on fact and in many ways it provides a very accurate description of pirates. 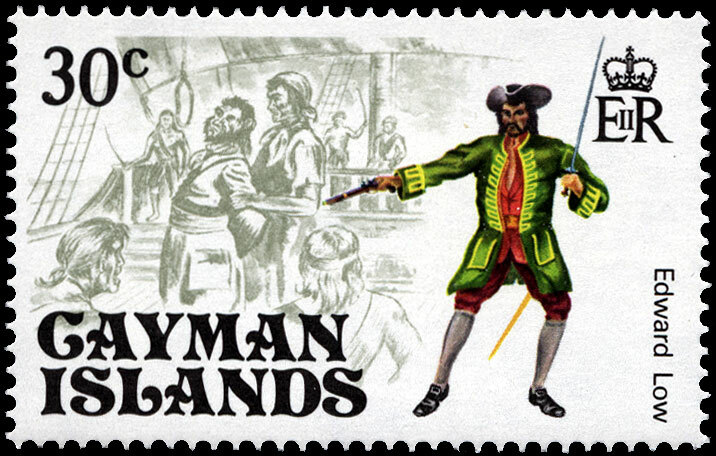 While there never was a pirate named Long John Silver or a Captain Flint, there was a real pirate named Israel Hands (a.k.a. Basilica Hands), who was second-in-command under Blackbeard. 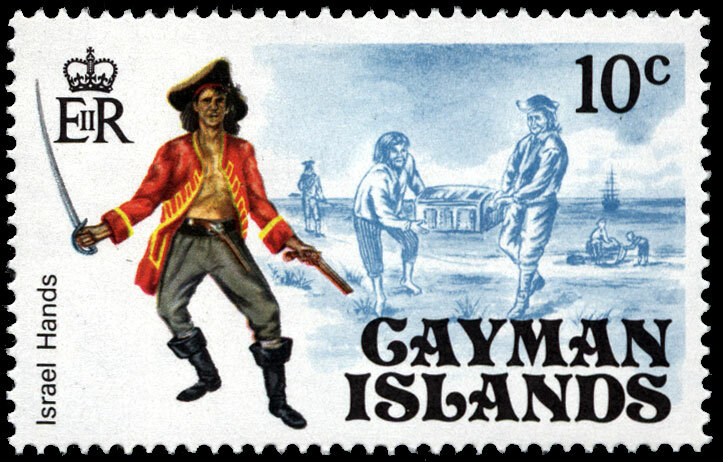 He was crippled when Blackbeard suddenly shot him in the leg for no apparent reason one night when Blackbeard, Hands, a pilot and another pirate were drinking in Blackbeard's cabin. When the fourth pirate noticed Blackbeard secretly drawing two of his guns, he quickly left. Soon after that, Blackbeard blew out the candle, crossed his hands and fired both his pistols under the table striking Hands in the knee. The other pistol did no damage. Blackbeard later explained that if he didn't kill one of his crew once in a while, they would forget who he was. Hands later deserted Blackbeard in Carolina and turned King's evidence. In Virginia, he was arrested for piracy and barely escaped execution. He was last seen begging for food in London. 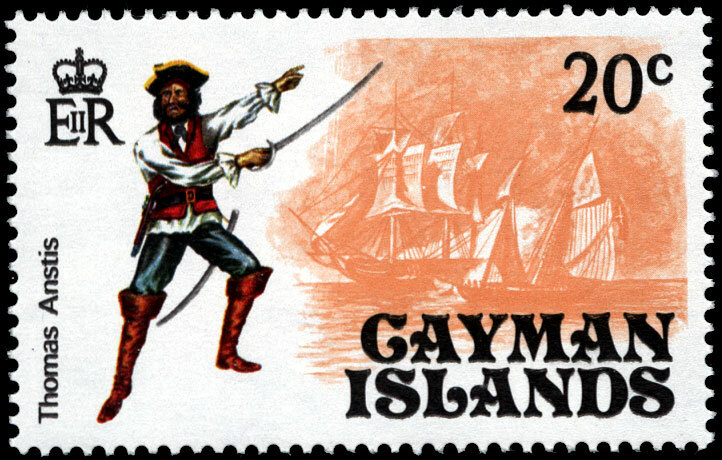 Hands was second-in-command under Edward Teach "Blackbeard." Hands was given command of David Herriot's ship the Adventure after Herriot was captured by Blackbeard in March, 1718. Hands was with Blackbeard in the attack on Charleston, South Carolina. Afterwards, Hands settled with Blackbeard in Ocracoke, North Carolina. When Blackbeard was killed by Robert Maynard, Hands was captured and taken to Virginia for trial. 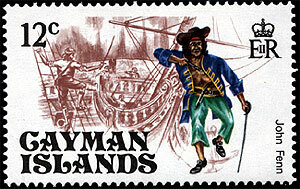 In exchange for immunity, Hands testified against corrupt North Carolina officials who had consorted with Blackbeard. According to Daniel Defoe's "General History of the Robberies and Murders of the Most Notorious Pyrates," Hands is said to have died a beggar in London & also wrote that Hands was shot in the knee by Edward Teach aka Blackbeard after Teach fired at another member of his crew, striking Hands accidently. Hands supposedly asked Blackbeard his meaning in this act, His response was, "That if he did not now and then kill one of them, they would forget who he was."